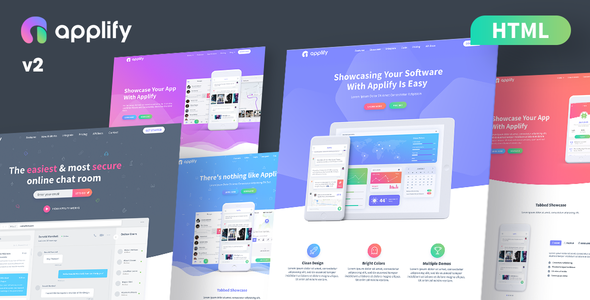 Applify is a modern and responsive HTML5 Template. It’s perfect for showcasing mobile apps, modern tech and digital products. 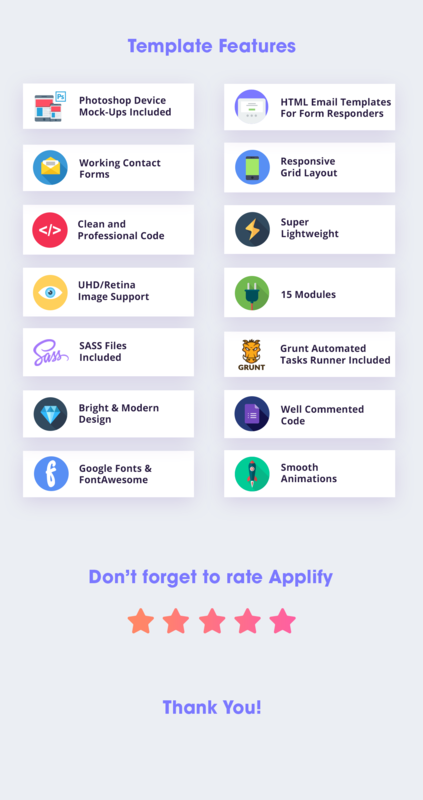 Applify v2.0 has migrated from Bootstrap 3 to Bootstrap 4. Please make sure you read the documentation if you’re not similar with the migration process. We are always happy to help. Submit a support ticket to get in touch.